Grab a boost to improve your gaming sessions at Betfair! 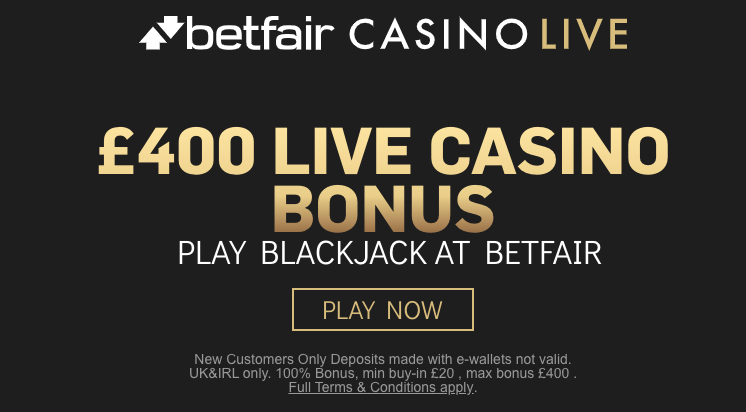 Claim a 50% Live Casino bonus up to £100 on your second deposit and play Live Blackjack and Live Roulette in style. Simply select this offer, log into your account, and make the required deposit. You will have a wonderful time with this deal. Wager your bonus 30 times before initiating a withdrawal. Also, payments made using ewallets are not eligible for this promotion so choose any of the other banking methods available. Polish your gaming skills using this offer!